In just a few minutes, I was able to hear what was really in their hearts regarding “getting into Heaven.” It’s all about what you do and don’t do, how you look and how you act, whom you associate with and whom you don’t. What if I told you that Jesus told us none of these things were a requirement to inheriting the Kingdom of heaven? What if I told you that Jesus actually was so upside-down in His thinking; he said we enter the Kingdom through being poor, humble, grieving, hungry and thirsty? What if I told you that Jesus detests religious practices and thinks what you do in secret matters more than what you do in public? What would you do if I said that true worshippers, true followers, are willing to enter in to the most messy of relationships with the most scandalous of people so that they might get to know God? As we journey through the Sermon on the Mount, as we follow Jesus and listen to His teaching, we will have to unlearn as much as we learn. We will have to undo the false narratives we’ve all been taught about God and His expectations for His people, and be willing to learn the true way, Jesus’ way, into the Kingdom. We will simply learn to live and love like Jesus by spending time with him these next few weeks. 2. Write down any observations or questions you have. 3. What are your hopes during these 40 days of studying Jesus’ words from The Sermon on the Mount? How would you like to grow as a disciple? 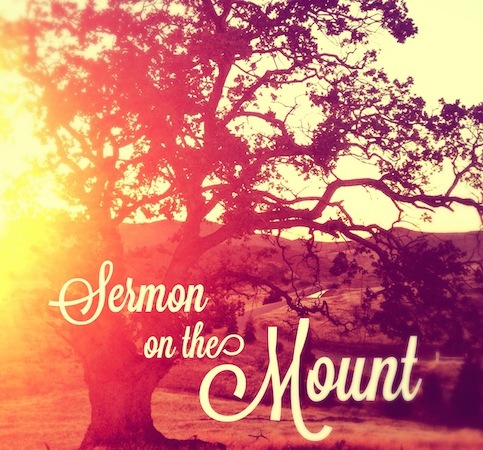 Be sure to follow the Sermon on the Mount series HERE and sign up to get these articles in your inbox!